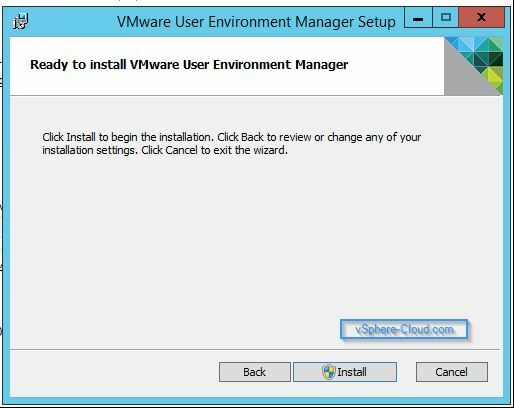 In this blog i will guide you the process of deploying VMware UEM and steps to configure UEM post deployment. Management Console The User Environment Manager Management Console. 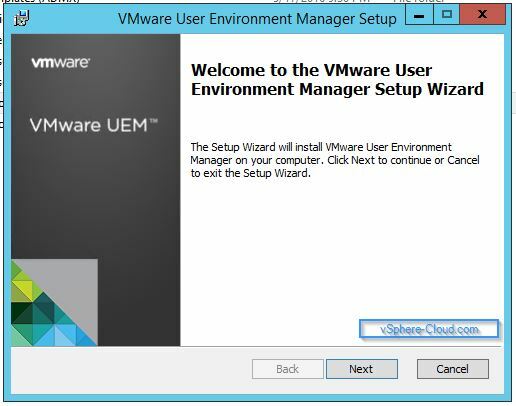 UEM configuration share The UNC path to the share where the Management Console configuration and User Environment Manager configuration files will be stored. Flex config/configuration file A configuration file containing User Environment Manager specific content. Flex config files are created and managed by the Management Console. 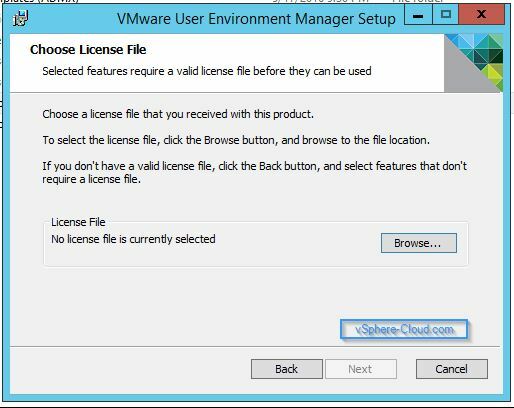 FlexEngine The User Environment Manager client component which needs to be installed on each physical or virtual Windows device where you want to use VMware User Environment Manager. Profile archives Profile archives are ZIP files in which FlexEngine stores the personalized settings of users, based on the content of Flex configuration files. For each Flex configuration file you create, a profile archive will be created for each user. Profile archive path The path that is used by FlexEngine to store profile archives of the individual users. Profile archive backup path The path that is used by FlexEngine to store backups of profile archives. General folder A folder named General, which is created by the Management Console in the UEM configuration share. This is the location where Flex configuration files will be created, managed and used from by FlexEngine. To implement VMware UEM we need only few infrastructure requirement. A central share on a file server. This can be a replicated share for multi-site scenarios as long as the path to the share is the same for all client devices. Make sure that only User Environment Manager administrators have at least modify permissions on the share. 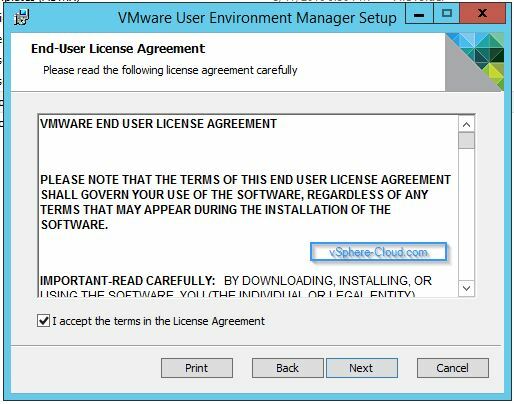 Make sure that users for whom settings will be managed by User Environment Manager only have read-only permissions on the share. Shares to store user’s profile archives and profile archive backups. It is necessary to use a location that is unique for each user. We need minimum 2 file shares to be created on the network. Users of User Environment Manager: ‘Read & execute’. Click here to download User Environment Manager 9.0. Once Downloaded, Extract the zip file. 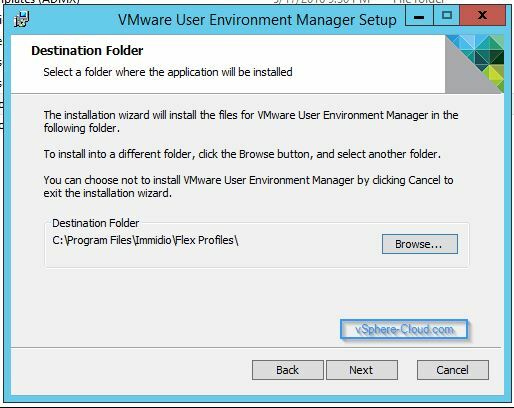 Execute the “VMware User Environment Manager 9.0 x86.msi or VMware User Environment Manager 9.0 x64.msi” depends on the environment that you would like to build. Click on Install and wait for installation to finish. 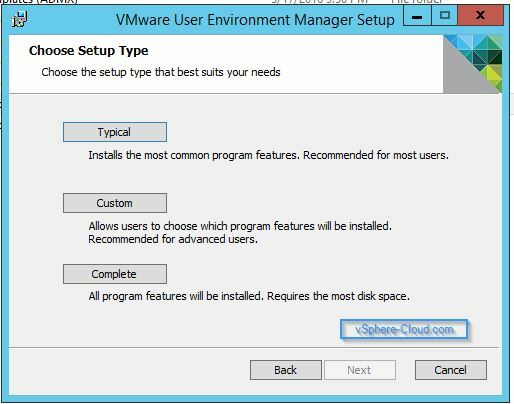 In my next blog i will guide you through the configuration of UEM. Please standby. I hope you find this useful. Thanks for reading.